The City of Portland relies on help from residents to keep storm drains clear. What happens when storm drains clog or get overwhelmed? Streets turn into rivers and basements can fill with water. That’s what happened in Portland recently when the area received unusually heavy rainfall over a period of a few days. Hit with a series of December storms, the drenching proved too much for Portland storm drains. Other towns in Oregon and Washington also experienced flooding, both from clogged drains and rising creeks and rivers. This winter’s overflow was particularly bad, but drains, or catch basins, clog every year. The area’s combination of dropping leaves and heavy rains mean homeowners must be proactive if they want to protect their neighborhoods from the damage caused by standing water. Most cities, including Portland, are tasked with keeping storm drains clear, but homeowners can also play a part. Here’s what you can do to help prevent clogged storm drains. Portland has 58,000 storm drains. The grated drains are on almost every street corner in the city. They keep roads from flooding during most downpours. Storm drains often flow straight to creeks or other waterways, generally bypassing sewer treatment systems. Because of this, it’s important never to dump chemicals or waste into a storm drain. Why Do Storm Drains Clog? The metal grates over street drains prevent large objects from entering the pipes. 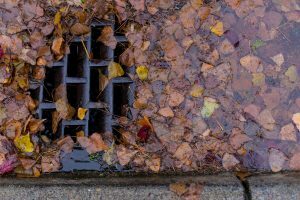 Sometimes heavy accumulations of organic matter jams the drains, slowing or stopping water from flowing through the grates. When that happens, streets flood. Yards and basements may also fill with water. How Can I Keep Storm Drains Clear? If the grate on your street is blocked, use a rake or pitchfork to clear the debris. In most cases the jam will consist of leaves and branches. Place the waste in a yard debris container or trash can. Don’t leave it on the street where it can create a slippery, messy hazard. When Is the Best Time to Clear a Storm Drain? Clear a drain as soon as you notice it’s clogged. 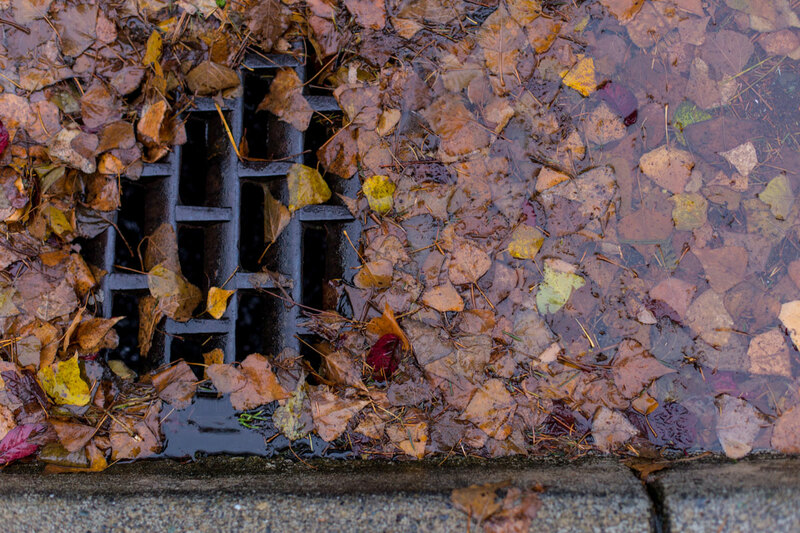 During autumn, or anytime heavy rains are forecast, check the catch basins around your home. Clear the grates before rain or snow falls. After a storm, check the drains again. Remove obstructions. Portland: Visit the website for information. Report a problem by calling 503-823-1700. Vancouver: Visit the website for information. Report a problem by calling 360-487-8177. Camas: Visit the website for information. Report a problem by calling 360-817-1565. If your home or basement suffered water damage during the recent flooding in Oregon and Washington, a sump pump may be able to help manage the moisture. Simpson Plumbing installs and repairs sump pumps. Call us for help at 360-834-5311.